When, in February 2017, Elon Musk announced that SpaceX was hired to send two people on a private trip around the Moon in 2018, there were doubts about the chances of meeting that schedule. The trip was supposed to be on the Dragon V2, or Dragon 2, spacecraft, the version developed exactly for manned trips, which was supposed to be launched on a Falcon Heavy rocket. Due to the accumulated delays, the Falcon Heavy rocket made its maiden flight only on February 6, 2018 while the Dragon 2 spacecraft has yet to be tested: right now, the first unmanned flight is scheduled for November 2018 and the first manned flight to the International Space Station is scheduled for April 2019. For a year and a half there was no other news about the private trip around the Moon but just a hint that one of the tourists was Japanese. At last, Elon Musk announced that he would reveal a passenger’s name explaining the new plans, which have definitely changed since the original announcement. In the course of 2018, SpaceX started building its next rocket, the one called Big Falcon Rocket (BFR), an idea developed over several years that passed through various changes. It’s designed precisely for deep space missions with a higher power than even NASA’s Saturn V, the rocket used to send astronauts to the Moon. The BFR will launch the BiG Falcon Spaceship (BFS), a spaceship designed for various configurations that can be used as space cargo ship, to transport people or to transport smaller spacecraft into space like the Space Shuttle did, for example with the Hubble Space Telescope. 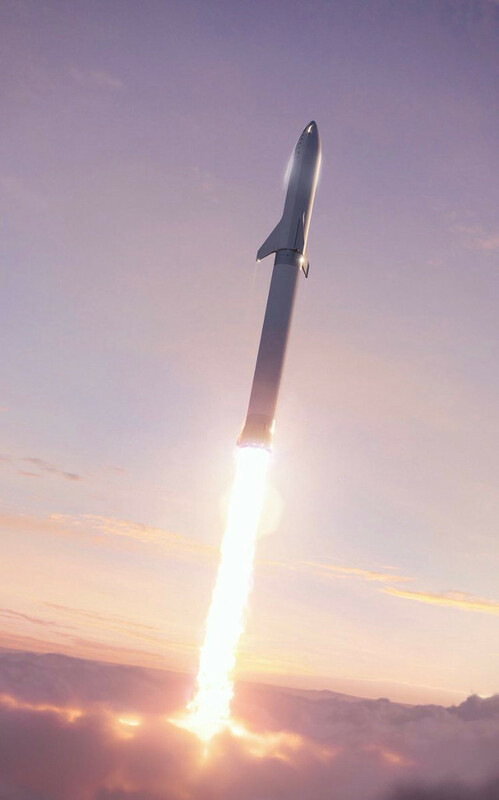 SpaceX is trying to create a single launch system with high re-use possibilities for various markets with the ultimate goal of replacing the Falcon rockets and the Dragon spacecraft. Elon Musk’s ambitious projects are great and we got used to them, the problems come regularly when SpaceX’s founder starts providing development timelines. According to the schedule, the BFR could be launched in a real mission in 2022 and then proceed with the tourist trip around the Moon in 2023, will they make it? For the moment, there’s the official participation of Yusaku Maezawa, born on November 22, 1975, who became rich developing an important company that started with mail orders and then became the Zozotown e-commerce. It’s not clear how much he’ll pay for the trip around the Moon and the estimates are made more complex by the fact that according to the announcement he’ll choose some artists to accompany him. Maezawa is a well-known art collector and this element is also important for him for this trip. A website dedicated to this journey has now been opened, where updates will be reported. 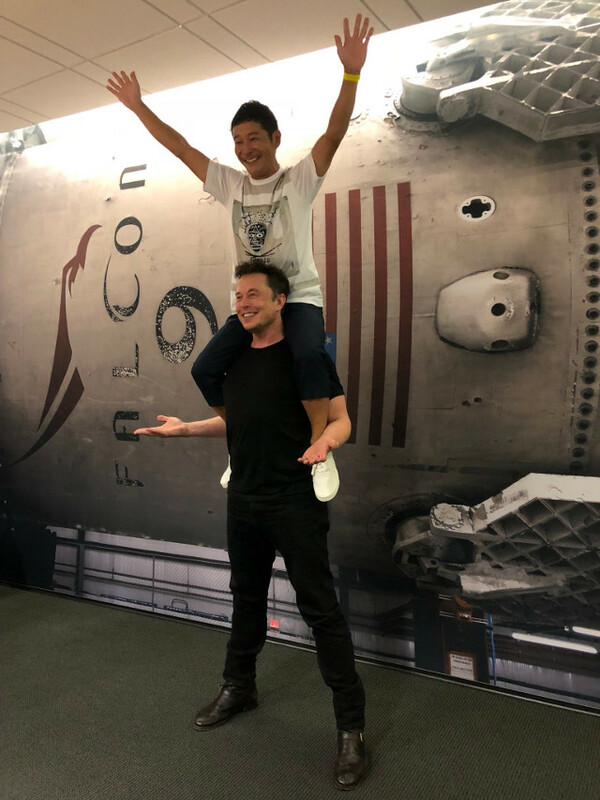 In addition to Yusaku Maezawa there’s the possibility that Elon Musk himself will participate but in the press conference he provided no real confirmations. Since it will take at least 5 years to see it, there will be plenty of time for more twists.